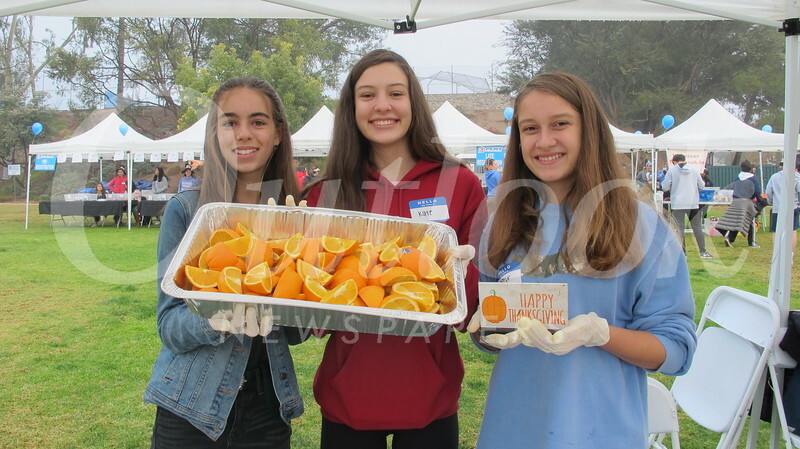 La Cañada Flintridge Community Center’s 25th annual Thanksgiving Day run and food drive drew a large crowd as usual. Volunteers were on hand to collect the donated food, check the runners in and provide donated snacks to them. Community Center board President Ara Aslanian welcomed everyone, followed by Mayor Terry Walker’s welcome. State Sen. Anthony Portantino made a special presentation to the Community Center for their 25 years of dedication to this event. Present in the audience was Dr. Woody Walker, who was the center’s board president for the first run.